There was a palpable energy when I stepped off the plane. No one else in the airport could feel it. I zipped through the concourse, out the arrival doors and stepped into my Uber. The car couldn’t get there fast enough. Day one of the next step in my career. We arrived, I stepped out of the car and looked up at the skyscraper that would be my new headquarters. Dynamite was going off inside me. This was going to be the place I stepped my game up. I would not let past failures dictate my future. This was a new beginning, a clean slate, a fresh start and things would be different this time. According to researchers at MIT there is one common characteristic in the way that we all adopt new habits: our brains form a habit loop¹. Each time we perform a habitual act, we become more proficient at completing that task. Over time, habits, linked to both cost (things we don’t like, such as sit ups and not eating cookies in the work break room everyday) and reward (things we do like, such as watching TV and eating cookies in the work break room everyday) burn neural pathways through our brain. The problem with habits (and ultimately the formation of bad habits) is that over time, we build shorter and shorter neural pathways, away from cost and towards reward, feeding our need for instant gratification. We’re literally hard-wiring our brains for short-term, low-cost reward. While avoiding sit ups and eating cookies, (lazy examples for exercise and eating right), may help us feel happy in the moment, these long-term habits provide little meaning and fulfillment to our lives. But instant gratification doesn’t stop with exercise and diet, it also impacts our relationships, work, and self-worth. We can do our best to avoid forming short-term reward-based habits, but this feels like a waste of effort. The pursuit of instant gratification is very likely part of the human condition. Instead of focusing on avoidance, focus on recognition and interruption of short-term reward habits. Let’s keep recognition simple for now: if a habit is short-term in nature, with a long-term negative impact on happiness and meaning, then it’s worth addressing. The answer to interrupting habits lies in a 2014 study published by three researchers at the University of Pennsylvania’s Wharton School titled, The Fresh Start Effect: Temporal Landmarks Motivate Aspirational Behavior. Their goal was prove the Fresh Start Effect phenomenon had the potential to help people overcome the limiting willpower problems that often keep us from obtaining our goals (i.e. breaking our habits built on instant gratification). The gist: We’re more likely to take action towards our goals after days that mark the start of a new time period and represent new beginnings. Interrupting focus on day-to-day minutiae, thereby promoting a big-picture view of life. Interruptions to a routine shake people out of autopilot. The good thing about temporal landmarks is they can be as seemingly trite as Monday or the first of the month. What’s important is the landmark is meaningful enough to us individually to spur action. My fresh start was certainly on the more radical end of the spectrum. You don’t need to change companies or careers to experience the positive impact of the Fresh Start Effect. The 🔑 to hacking the Fresh Start Effect is manufacturing temporal landmarks with enough meaning to interrupt our poor habits. The original research by Milkman and her colleagues found that we are more likely to follow through on our goals if we begin working on our commitments on a Monday rather than a Thursday. Monday is traditionally the beginning of a new week creating a natural reset point after the weekend. Additionally, starting at the beginning of a month can carry greater significance and impact than starting at the beginning of a week. In other words, Monday, the first day of a month or even January 1st are just random days to which we’ve assigned a special meaning. We have the power to do that all year long. If you need to, create a new fun (or meaningful) labels for random days in order to enact the Fresh Start Effect. After your initial flurry of fresh start excitement following a temporal landmark, there is a strong chance your commitment will begin to fade. Set reminders for yourself to start again. This could be as simple as an alarm that goes off every Sunday night signaling your fresh start the following day. Always be looking for new opportunities for a fresh start. If you’ve fallen off the wagon, simply choose a new fresh start date and commit to it. If you’re struggling for impactful date in which to re-rack your fresh start, here is a useful list of dates: The 86 Best Days of the Year to Get a Fresh Start, According to 700 Scientific Papers. 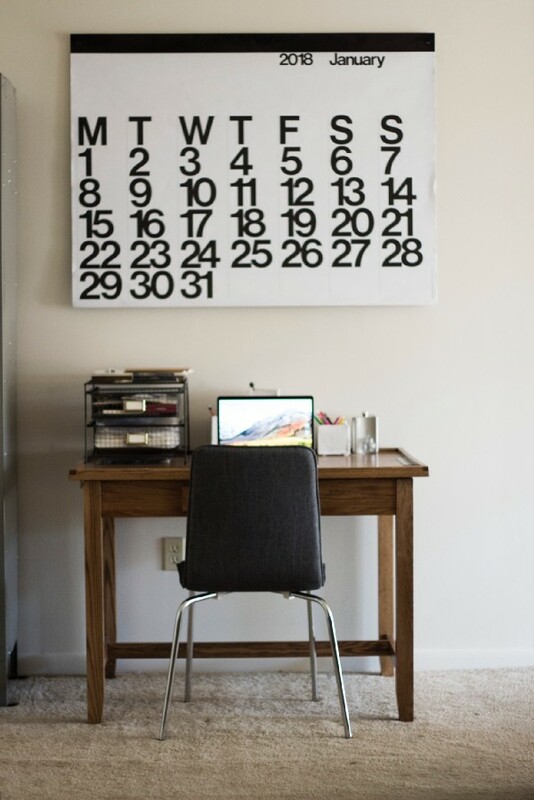 Instead of using Google Calendar, buy a physical calendar and hang it someplace you can see it everyday. Mark the temporal landmarks you’d like to use as fresh starts and track your progress. A physical calendar also allows you to use the insanely simple, but also highly useful, chain method of habit formation³. My fresh start involved a major life change. It was necessary to reignite my creative fire. And even though I didn’t realize it at the time, I’d actually stacked several elements of Fresh Start Effect on top of each other in the process. The challenge, and drawback to the Fresh Start Effect is waning enthusiasm. If your new habits begin to fade, remember that the Fresh Start Effect is a simple mind hack you implement at any time. It is natural to fall back into bad habits. Instead of feeling disappointed or sorry for yourself, recognize and interrupt. P.S. If you‘d this article subscribe to email updates here.